There are a lot of these question popping up in my mind and I know I am not the only one, questions like, how the universe was created? What really happened at the beginning of the universe? 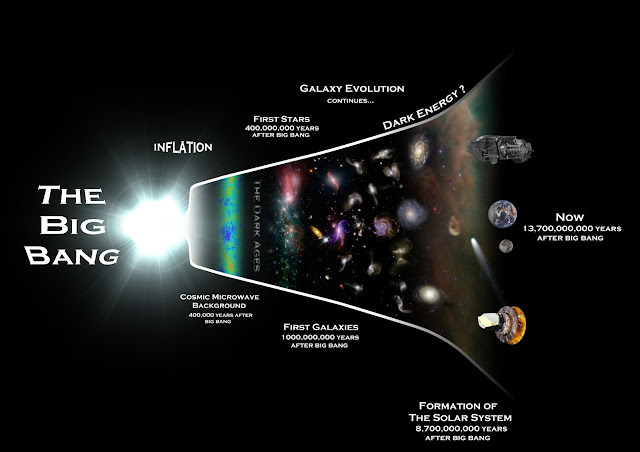 How did the Big Bang process unfold? How was matter created? And what was the role of the Higgs boson, which gave mass to other particles, at that very beginning of the universe? This is the story of the formation of our universe, a chronicle that lasts 13.7 billion years, but we have shortened it for you in the three and a half minutes of this remarkable video illustration.